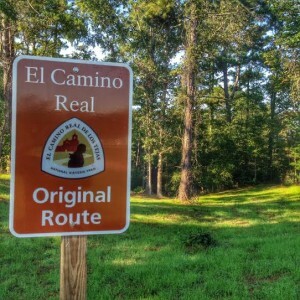 Alto, Texas- This past Saturday, the Caddo Mounds State Historic Site launched it’s first El Camino Real Festival complete with re-enactors, pioneer camps, guided hiking and plant identification tours, and demonstrations to celebrate the site’s museum re-dedication and highlight a section of the original El Camino Real which runs through the site. Caddo Mounds State Historic Site is the first and only site to offer an interpretation of the King’s Highway. Historic road swells are clearly visible at the site, and are a great new addition to all the park has to offer. The El Camino Real Festival offered guests the opportunity to step back in time on sacred ground, and get a closeup of what life was like for pioneers and early settlers in the Piney Woods region. Check out our slideshow of photos taken at the First Annual El Camino Real Festival. Thanks to everyone who worked to make this event a reality. MYETX looks forward to attending next year’s event! 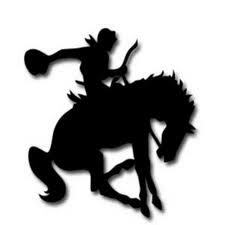 Like the Caddo Mounds State Historic Site Facebook Page for information about upcoming events. The El Camino Real Festival is sponosored by the Texas Historic Commission, Texas Forest Trail region and the Caddo Mounds Friends Group. 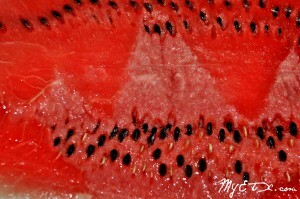 Center- The 23rd Annual What-A-Melon Festival begins this Thursday, July 12, on the Center Square. Every year the festival draws 5,000+ visitors to Center who enjoy carnival rides, games, contests including The Biggest Watermelon Contest, food, craft & merchandise booths, live music & entertainment under the Big Tent, The Pink ‘N Green Pet Contest and The Annual Miss East Texas What-A-Melon Pageant. This is a fun, family-oriented good ol’time!